Your guide to getting started with Flutter, Google's new framework. You can find out a bit about how it works in the introductory video below, or read on for a step-by-step guide to getting started with Flutter. For more advice, take a look at our collection of tutorials explaining how to build an app. In this tutorial, we'll look at how to set up Flutter and explore the basics of building apps using the framework, using macOS for our development. We'll assume that you've programmed before and know how to use the Bash shell, but might not have developed for mobile. Once you have all of these, run Xcode and Android Studio, install the additional components they offer and create a new project to make sure they run. Take note of what the doctor tells you and respond to any issues that arise. You might have to run the doctor a couple of times to gain additional feedback and act on it. Once the tool is happy with Flutter, Android Toolchain, iOS Toolchain and Android Studio, you are good to go. Don't worry about connected devices for now. Now Flutter is set up, you'll want an IDE to work in. There are plugins available for Android Studio and IntelliJ. We're going to go with VS Code, which also has its own Flutter plugin. Start up VS Code and click View > Command Palette. Type 'install' and select the Extensions: Install Extension action. Search for 'flutter' and install the Flutter plugin. Once done, restart VS Code. We're now ready to begin developing. Start a new project through the Command Palette by selecting the Flutter: New Project option. Name your project, select where to save it and VS Code will invoke Flutter to generate the new project. To test our project, we'll want a device simulator to allow us on the desktop. In the bottom right-hand corner of VS Code (in the blue bar), you'll see something saying No Devices. If you've developed for mobile before, when you click this, you'll see your simulators available in the Command Palette. You should then see an iOS simulator available when you restart VS Code. Android is more complex. Load Android Studio and within an Android project, click Tools > Android > AVD Manager. Select Create Virtual Device. Select the device to emulate – for example a Google Pixel 2. Click Next and you can also choose a system image (i.e. OS version) to download. On the next page under Emulated Performance, select Hardware – GLES 2.0 to enable hardware graphics acceleration on the emulator. Finish the process. Once you've created the virtual device in Android Studio, restart VS Code and you'll see your Android emulator appear alongside the iOS simulator in VS Code's device list. Now, if you click No Devices, you can select an iOS or Android device and a virtual phone will fire up on your desktop. Try it out with an iPhone X simulator. Now the simulator is running, you can test out the starter app. Hit F5 or click Debug > Start Debugging. The app will load on the simulator and you can try interacting with it. Be patient if it doesn't happen immediately, as it can take some time to build. Then you can open an Android emulator and run the project in Debug mode as you did for iOS. You should see the changes take effect as soon as you save. What we haven't yet talked about is the Dart programming language that Flutter uses. Dart is an object-oriented language with C-style syntax, developed by Google and all Flutter development uses it. If you've already got some experience of web or mobile development, then it shouldn't be totally alien to you. 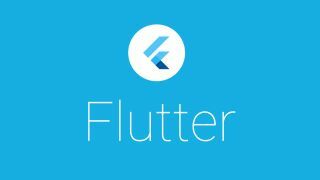 Everything in Flutter is based on widgets, which are the building blocks of an app. If you've used React before, Flutter's approach is very similar and widgets are analogous to components. Essentially your entire app can be decomposed into a hierarchy of widgets. This is easily seen within the MyApp class. MyApp is a StatelessWidget (this means it's immutable). The build() method we are overriding tells Flutter how the widget should be rendered. This is similar to React's render() function. The method returns a MaterialApp widget, which represents an app that uses Google's Material Design. This in turn has several properties, which are themselves widgets: ThemeData defines the visual style to be used and MyHomePage is a custom widget defined further down the main.dart file that contains the body of the app. Unlike the stateless MyApp, MyHomePage is a stateful widget. This means its behaviour is defined by the _MyHomePageState class, enabling it to store information and change accordingly, such as when you press the button on the app. You can see it's currently using many built-in widgets Flutter provides to handle common things like layout, buttons and text display. Let's make some changes to that class to modify what our app presents. We've disposed of the existing content and replaced it with a brown Container widget but we also need to create a custom widget, RecipeWidget, that will be put in the container. We'll also create a simple data structure in main.dart, pairing images with strings to act as a thumbnail and summary for recipes. Finally, let's update RecipeWidget to build a list of widgets displaying the recipes. We use Image.asset to load the static assets we included in pubspec.yaml. Hopefully you're starting to get a feel for how Flutter uses widgets to construct apps. Try using the simulator to rotate the device. The Flutter layout automatically accommodates the changes. For comparison, try the app on the Android emulator.